Eevee Evolutions. . HD Wallpaper and background images in the Eevee club tagged: eevee. This Eevee fan art contains anime, truyện tranh, phim hoạt hình, and manga. There might also be cửa sổ kính màu. 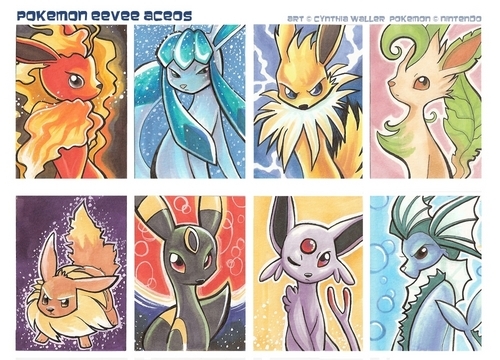 well i like it but espeon more cos i like her! Somebody should make a metal and air form of evee. they are all mad! look at glaceon face!